The best beers demonstrate length. No, not length in the context of wine, where it indicates how long taste persists on the palate. By length, I mean depth of flavor. Let me explain. Great beers are bold with vivid flavors and strong palate presence. They are finessed with subtle intricacies and refined delicacies. And great beers are unrelenting with constant sensory stimulation and persistent evolution with each sip. Jolly Pumpkin Bam Bière was one of the first beers that demonstrated length to me. I knew it as soon as I smelled Bam Bière – something in the aroma let my emotions take hold. It engaged all of my senses and completely wrapped me up in the pause – a brief moment of beer nirvana. It was not simply appreciating the beer’s bright notes of fleshy peach, juicy lemon, or tart white grapes but rather experiencing the entire orchard with its warm sun, ripe fruit, and chirping birds, or the whole farm with its vibrant colors, busy tractors, and animal scents, or even the complete vineyard with its serene views, rich juices, and popping corks. Great beers with length enrich your life through depth of flavors and emotion experiences. And Bam Bière did exactly that. Eventually, I set out to brew a tribute (but not clone) of the beer, aptly named, Farm Bière. Farm Bière was brewed back in May 2016 as part of a split 10-gallon batch (5 gallons became a clean lager and 1.5 gallons was used for foraged yeast trial batches). 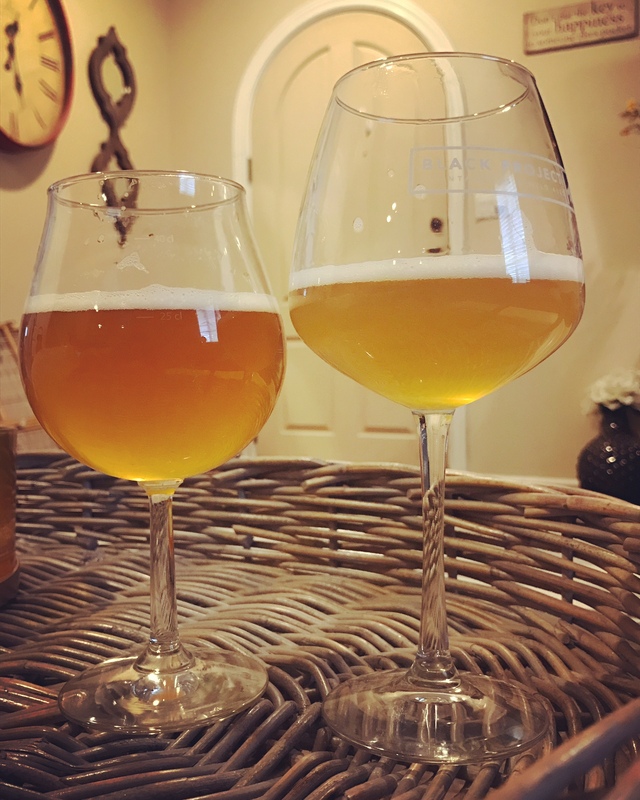 The major differences in my recipe included omitting caramel and black malt, swapping Willamette for Crystal hops, and fermenting with our foraged yeast. The beer was open-fermented in a plastic homebrew bucket for several weeks before ultimately being transferred to a corny keg to free up fermentation vessels. Originally, I had planned to blend-in acid beer and Brettanomyces beer to taste, dry hop, and bottle in July 2016, but I sort-of happily forgot about Farm Bière. Nearly one year later, in the midst of moving to Idaho, I rediscovered the keg in April 2017! One gallon was bottle conditioned and the remaining 2 gallons found their way onto foraged Massachusetts grapes and beach plums, respectively (those two are still conditioning). After arriving in Boise, Farm Bière was the first homebrew I cracked! Appearance – Golden-hued and hazy, the beer pours with a rich and lively carbonation resulting in several fingers of spongy white head. Despite its pleasant appearance, it is lacking the orange tint of Bam Bière (see the visual differences in the photo below); the extended boil was no substitute for dark malts. Smell – Brettanomyces character bleeds through in gueuze-like fashion, despite fermentation solely from our foraged yeast. Perhaps the beer picked up some residual Brett from keg conditioning? Aromas of stone fruit (peach) and flowers (dandelion) are also present, with pomme fruit (pear) becoming more assertive as it warms in the glass. Taste – Undoubtedly, I find the flavor more rich and intense than the aroma. Overall, I can pick out lemon, apricot, hay, and bread crust – a killer combination that combine to balance the flavor of the beer when simultaneously lending depth of flavor. I can almost feel the intangibles of the farm! 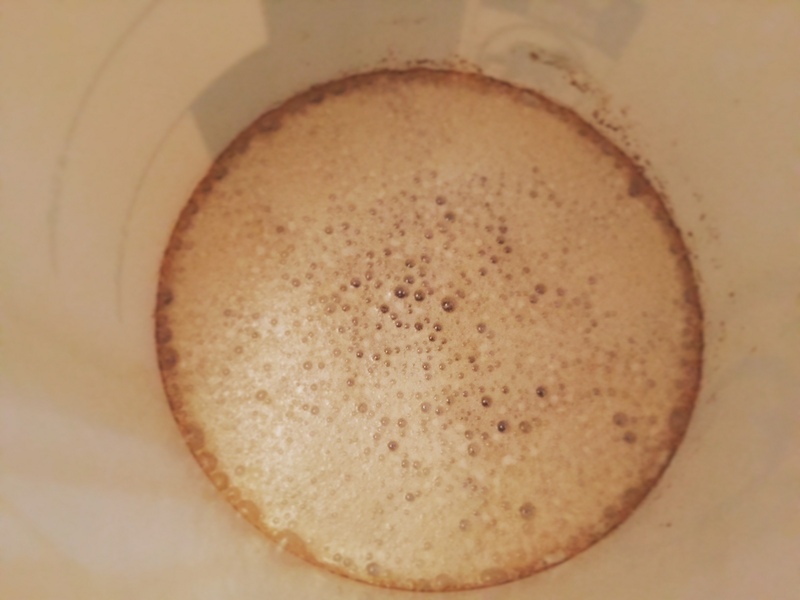 Mouthfeel – More than 12 months since brew day and the beer demonstrates a mild tartness. Once again, only our foraged yeast was pitched to initiate fermentation, but perhaps there was also lactic acid bacteria hiding in the keg? Regardless, the acidity is complemented with a medium mouthfeel from the adjuncts. 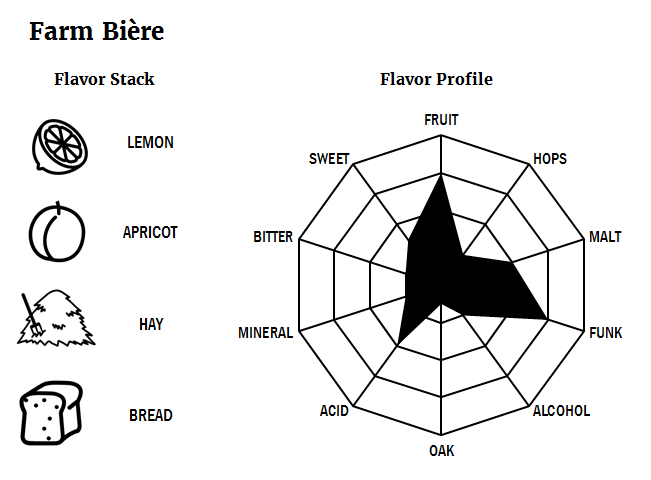 Overall – I am very pleased with Farm Bière! While I never intended to clone Jolly Pumpkin Bam Bière, I feel that Farm Bière missed the mark in a few key areas. This is a beer that represents the first step toward demonstrating length – not too shabby for a first go-round! Changes for Next Time – Future iterations will definitely utilize a blend of beers instead of a single recipe. 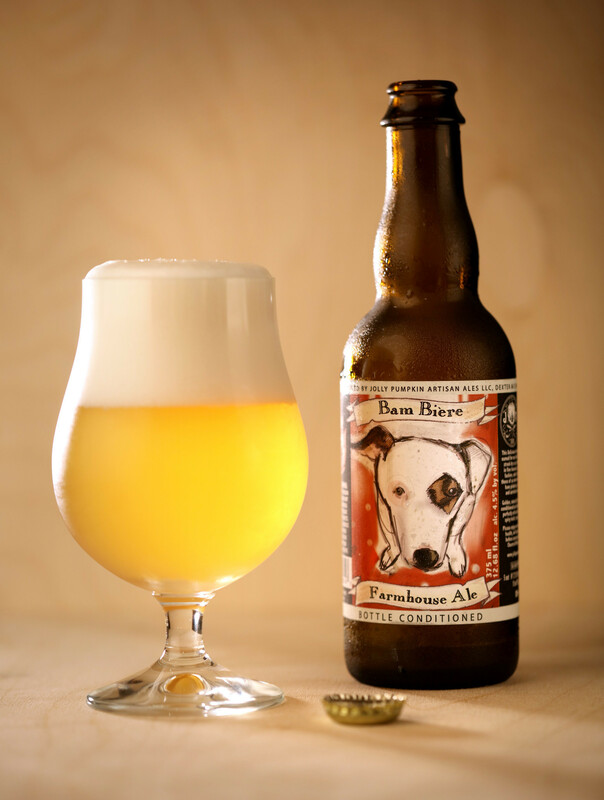 While Farm Bière was enjoyable, it lacked assertive character and complexity without multiple elements. I look forward to the day where I can blend a foraged acid component and foraged Brettanomyces component to layer complexity. The lack of oak tannins contributed to a diminished mouthfeel as compared to Bam Bière (which demonstrated a drier, astringent finish); neutral oak cubes will remedy future batches. Lastly, I may consider adding more rye malt or even coriander to Farm Bière for added peppery spice character.